Sovereign have everything they need and more at their fingertips. 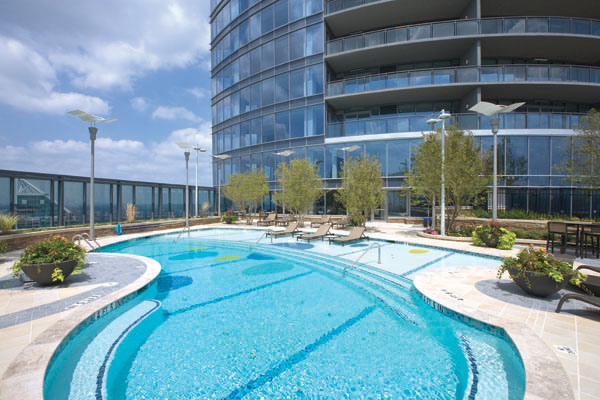 The state-of-the-art amenity package includes a zero-entry saline-infused pool, 5,500 square foot fitness and spa center, outdoor fireplace, pool lounge with catering kitchen and much more. 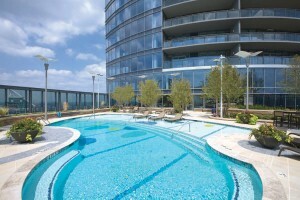 All residents also have the option of valet parking or assigned parking in the lower levels of the building. Office space occupies levels eight through 25, but have a separate parking garage, so that residents will enjoy stress-free parking. Buckhead Club, located on the 26th floor. The Club allows residents to enjoy business entertaining during the day and socializing with business and community leaders in the evening.The club offers panoramic views of the Buckhead and Atlanta skyline and includes a state of the art kitchen, enhanced technology solutions, custom décor, Member lounge, wine storage and ballroom. Sovereign not only offers home buyers a luxurious Buckhead home, but also offers them the luxury lifestyle that they have always wanted. Closings are happening now. Don’t miss out on your chance to call Sovereign home. For more information on Sovereign, call 404-266-3344 today.